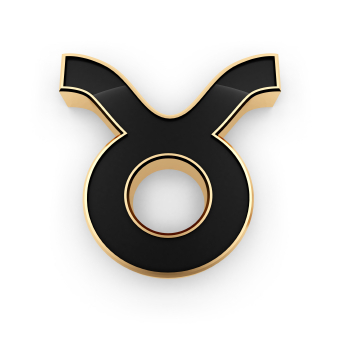 The Moon lounges comfortably in Taurus today. Early in the day a Moon/Uranus aspect might bring in a note of shock or surprise, but in general it’s smooth sailing for work and relationships. The Sun sextile the North Node could attract others or opportunities through the men in our lives or through innate talents that rise from the core of who we are. The sensual Taurus Moon makes flowing aspects to both Venus and Mars this evening (after 9:08 PM EST). Love-n-lustiness combine nicely here, and we’re in tune with partners–it might be a nice night to stay in, have a savory dinner (can’t forget that that Moon in Taurus), watch a movie and just enjoy being with the one you love. Both of these symbols point to the refinement of the human spirit. The stairway to the heavens shows our aspirations towards improving ourselves and increasing our understanding, and the woman who cares for an injured bird (empathy emanating from the heart and soul) who is depicted with books, letters and manuscripts (wisdom and the increase of knowledge) unites the best human qualities is a guide or role model for others, no matter what “step” on the stairway they are currently occupying.